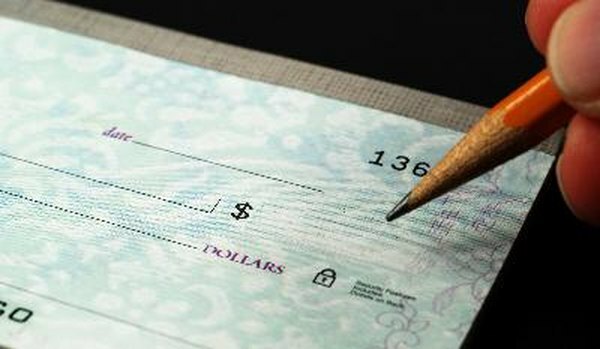 You need to write a check for estimated taxes on time. 3. Can I Not Pay Federal Taxes for a Few Months? As you earn income, the taxes owing must be paid on this amount must be paid. If you work as an employee, your employer will deduct a certain amount for taxes each pay period and submit it for you. If you have self-employed earnings, either on a part-time or full-time basis, you are responsible for ensuring that you are familiar with the federal estimated tax due dates so you can submit your federal taxes personally. Failure to do so may mean having to pay a penalty. After you file your income tax return, you may still have to pay a penalty if you haven't paid a sufficient amount in estimated taxes throughout the year. It is imposed for each day that the amount of the underpayment remains outstanding. Use Form 2210 to determine whether you may owe a penalty. If you're operating a business on your own or as part of a partnership, you'll probably need to make estimated tax payments. You may also need to do so if you are a shareholder in an S corporation. According to the Internal Revenue Service 1040-ES(IRS), if you expect to owe a total of $1,000.00 or more when you file your income taxes you will need to make estimated tax payments. The actual due date may be delayed to the next business day if the 15th falls on a weekend. You don't have to make your payment due on January 15 if you file your income tax return by the end of January and pay the entire balance owing at that time, according to the IRS. Use Form 1040-ES to calculate your estimated tax payments. Be sure to check the top, left-hand corner of the form before you start to ensure that you have the correct year before you start using the form. You should be using the Form 1040-ES for the current calendar year; it will have the correct figures for your standard deductions (used if you don't itemize your deductions) and the tax rate schedules. You may be able to annualize your payments to compensate for periods where you are earning unequal income, not distributed evenly by quarters. You'll have to complete a Form 2210 to calculate payments in this case, but your total estimated payments must equal 90 percent of your liability for the tax year. The IRS imposes a penalty for late or insufficient payments. Since the U.S. tax system is a "pay as you go" one, you do have the option of making more than four payments (one each quarter) to keep your IRS estimated tax paid up to date. Some taxpayers may find that making smaller payments more frequently is a more convenient option. For the 2018 tax year, the IRS has issued a waiver for taxpayers who haven't paid enough in withholdings and estimated income taxes throughout the year. If you have paid at least 85 percent of your total income taxes for the year, you will not have to pay a penalty. In a situation where you have paid less than 85 percent of your income tax owing throughout the year, you will be charged a penalty by the IRS. To request the waiver for the 2018 tax year, complete and submit Form 2210 (Underpayment of Estimated Tax by Individuals, Estates, and Trusts) along with your federal income tax return. You could owe a penalty on your 2017 income taxes if your estimated income taxes and any withholdings from employment income are lower than 90 percent of your 2017 tax or the full amount of your 2016 tax. For more information about estimated tax payments and how to calculate them, consult with an experienced tax professional who can answer your questions and address any concerns you may have.